Based on these comments, it’s fair to say that Joey Barton isn’t overly impressed by what he’s seeing at Liverpool under Jurgen Klopp. After 13 games played this season, the Merseyside giants are 14 points adrift of Premier League leaders Manchester City which suggests that their title chances are pretty slim. 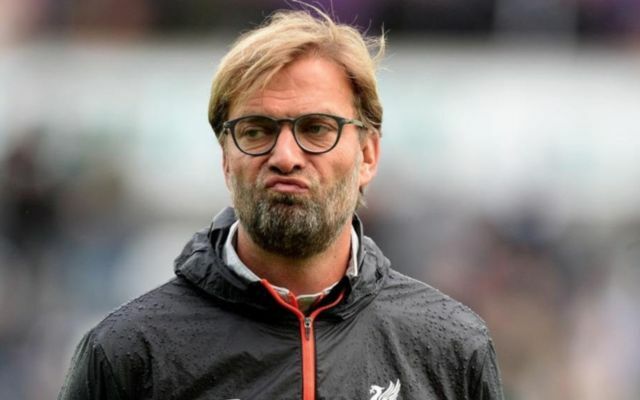 It’s a continuation of a trend that the Reds have seen since Klopp took charge, as they’ve fallen agonisingly short in cup competitions and haven’t been consistent enough in the league to challenge for major honours. In turn, that’s most probably where Barton’s criticism of the German tactician comes into play, as not only does he feel Liverpool aren’t making progress under Klopp, but he argues they’re in fact heading in the opposite direction. One of those ‘same mistakes’ that Barton is likely to be referring to is in defence, as Liverpool still haven’t managed to establish themselves as a consistent defensively-sound side, conceding 18 goals in 13 league games, which is the worst record of the top seven sides. Scoring goals has never been a problem for Klopp’s men with the likes of Mohamed Salah, Sadio Mane and Roberto Firmino firing them towards their objectives, but until they find a balance with the defensive side of their game, perhaps Barton makes a valid point but rather than regressing they could end up stagnating and failing to take that next step needed to win a major trophy.